Hey everybody!! Welcome to week 2 of my collaboration with TÉLIO! I'm so excited to get this week started. 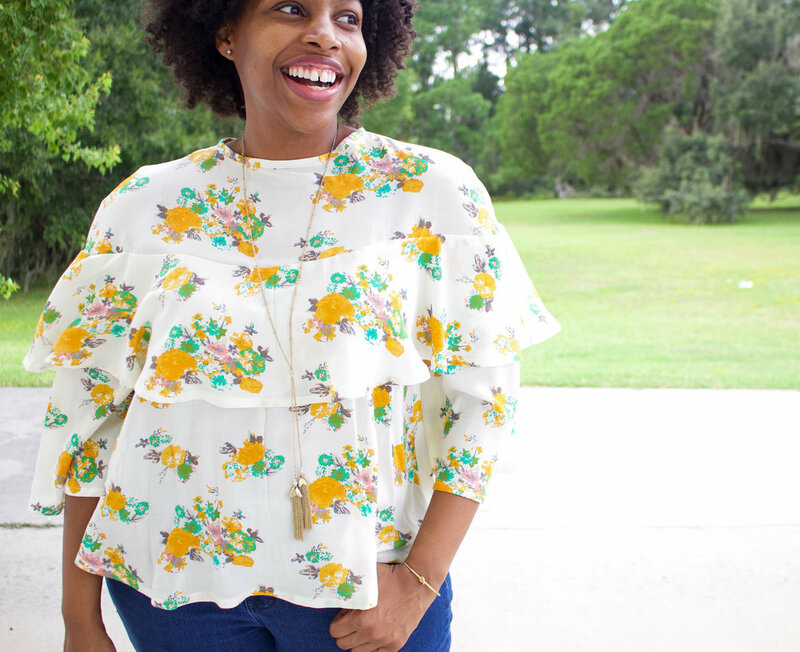 If you missed last week inspiration post and review of my casual top, you can read those here! I'm so excited to share this first look of my month long collaboration with TÉLIO today! If you're just joining in, I'm going to be working with TÉLIO the month of September to share some great Fall transitional wardrobe pieces. 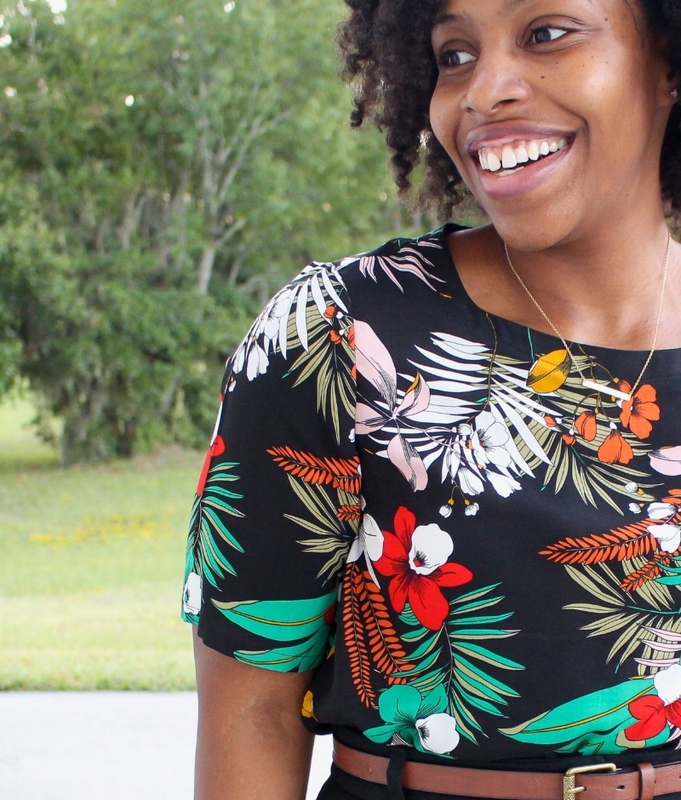 If it takes you a week or two to get into the next season of sewing like it does for me, I'm hoping this will be the jump start you need to get inspired. So lets get into this weeks project, the casual top. Hey everybody! Happy Sunday! I hope you’re enjoying your weekend! I’ve been sewing away at projects all day, and enjoying every minute of it! In todays post, I wanted to share some fun things about my new sewing machine! Its been about 4 months now since I became a brand ambassador for Husqvarna Viking and received my Epic 980q and Huskylock s25. I’ve been reading the manual non stop to learn them and all the awesome things they are capable of! I’ll be sharing more blogs/videos like how to make buttonholes, the easy to follow tutorials and sewing techniques that come programmed into the machine and all the presser feet that comes with it in later posts. Today, is all about how to thread the Husqvarna Viking Epic 980q. I created a video to show how to thread and wind a bobbin for the machine! I know all the bells and whistles of the Epic makes it seem a bit intimating but I can assure you, it’s not complicated at all! You can watch the video here! Thank you so much for stopping by! 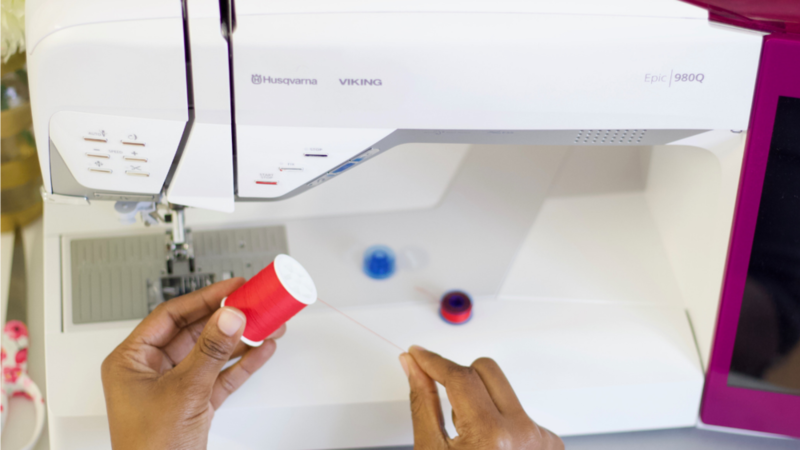 I hope you enjoyed seeing how to thread and wind a bobbin for the Husqvarna Viking Epic 980q! Until next time…. Hey everybody! It's September 1st, and its time to kick off this Fall Collaboration with TÉLIO! I'm so excited about it! I don't know about you, but when seasons begin to change, I always get off to a slow start with sewing. 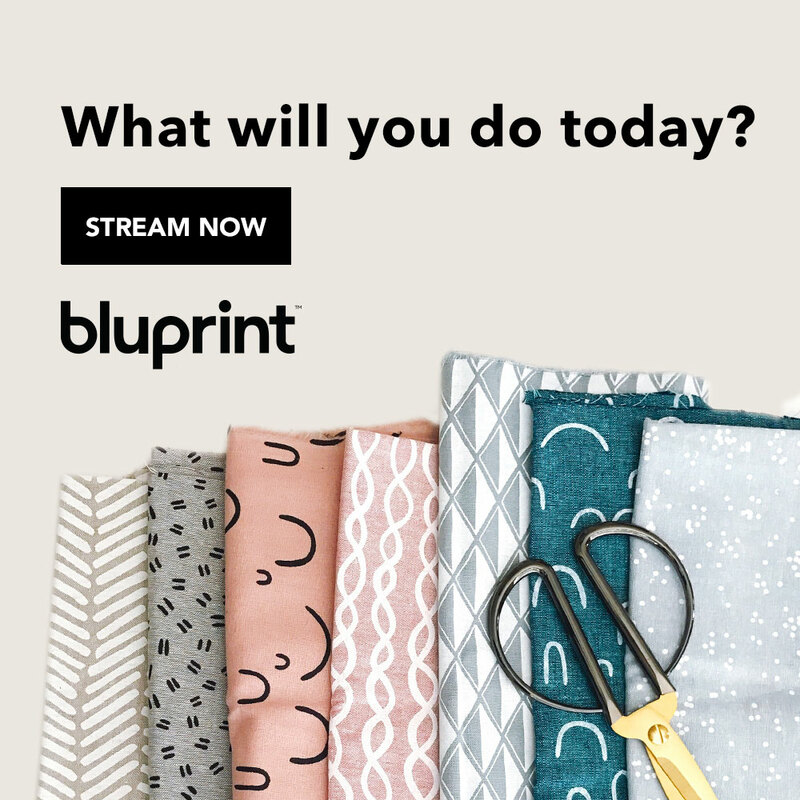 Whether its overthinking what patterns I want to make, fabrics I want to use, or what I really need over just want, it takes me a couple weeks before I dive in! I know I can't be the only one that gets off to slow start, so I figured what better way to really get the ball rolling on Fall sewing than to sew some staples. When I think about Fall I think about casual tee style tops (perfect for layering), lightweight jackets, classic button up shirts, and some versatile denim pants. Of course, your style and idea of Fall staples may be totally different from mine, and thats completely perfect (its what makes you....you!) but don't let that stop you from joining in this month! I uploaded a video with details of this collaboration and what you can expect, but I wanted to go a little more into the post scheduling so you'll know whats happening on what days! On every Monday of this month, I will post read-to-wear inspiration, pattern options, and fabric options for the project of the week. On Wednesdays, I will post my finished look of the project, giving a review of the fabric and pattern. On Fridays, its sew along time! I'll upload a "sew with me" video to my YouTube Channel and we can sew the project together! And in case you don't follow me on Instagram (you should :) here's a sneak peek of the first project! I won't get into how amazing this Rayon Voile Print is now, but y'all its amazing! I can't wait to talk more about it in Mondays post! Today I'm over on Mellysews.com sharing another make of the Blank Slate Pattern: Shoreline Boatneck! I really love the pattern! Its super easy, with lots of options for woven or knit tops, tunics and dresses! Hey everybody! Over the weekend, I announced that I've started decided to start a new venture and begin taking orders! Thats right....my shop is OPEN! I'm really excited about this, and also a little nervous! BUT I'm doing it anyway! You all know I always have a little back story, so lets chat about why I started this, and what my goals are for this new chapter! Hey everybody! Happy Monday! I hope you all had a fantastic weekend and ready to make this week amazing! I've finally started to move into Fall sewing over here and I'm really excited. I have a lot of staples on my sewing list and I can't wait to start working on them! For now though, lets chat about a McCalls 7573 which happens to be a great top pattern with views that are great for fall!